A battle between two dessert companies — Mister Cookie Face and 600 lb Gorillas — is heating up in Boston's federal courthouse. And it all started with an ice cream sandwich. 600 lb Gorillas Inc., a frozen all-natural dessert maker started by a Massachusetts couple, claims another business that supplied the ice cream for its sandwiches watered down the recipe, sending sales tumbling amid customer complaints the desserts had become "kind-of-icky tasting" and "tasteless." Chris and Paula White are now taking the ice cream supplier, Mister Cookie Face LLC, to trial for not holding up its end of the bargain to provide the frozen treats their customers used to love. 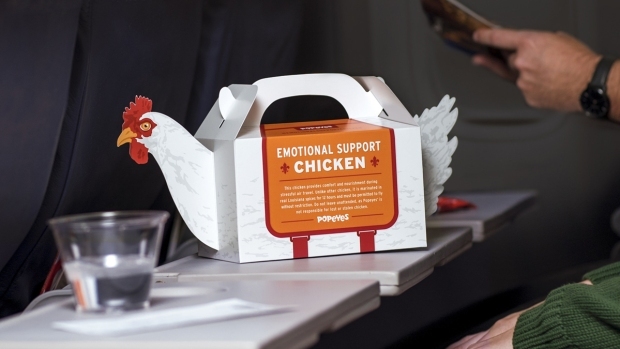 "We wanted to believe that we could trust them, and they knew that we were relying on them and they knew that they were giving us a bad product," Chris White said. Mister Cookie Face denies delivering subpar ice cream and says 600 lb Gorillas can't prove that problems with the sandwiches' filling hurt the company's sales. "There were just as many complaints about the cookie tasting stale, or being too hard, not chewy, as there are any complaints about the ice cream," said Blake Hannafan, a lawyer for New Jersey-based Mister Cookie Face and its parent company, Fieldbrook Foods Corp.
At the center of dispute, which is slated to go to trial later this month, is a key ingredient for super-creamy ice cream: butterfat. The Whites, who no longer sell frozen treats, had an agreement with Fieldbrook that the ice cream would contain 14 percent butterfat. But when complaints in 2014 started replacing customer praise, the Whites feared something was up, according to their breach-of-contract lawsuit, which claims the watery ice cream cost them at least $2.5 million. When the Whites couldn't get a straight answer from Mister Cookie Face, they had the ice cream tested in independent labs and found that the butterfat content was around 10 percent, the Whites say. 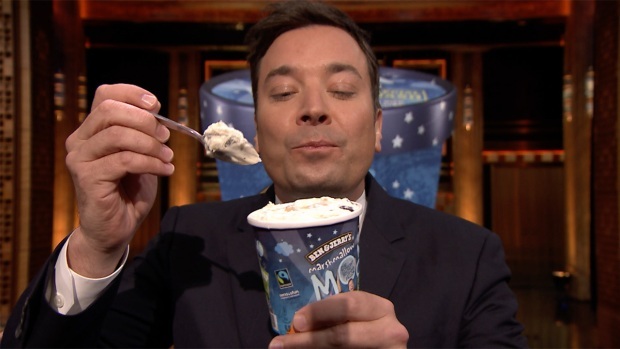 Jimmy Fallon reveals the "Tonight Show"-themed Ben and Jerry's ice cream flavor, Marshmallow Moon. All proceeds benefit SeriousFun Children's Network. Mister Cookie Face and Fieldbrook dispute the Whites' test results. Chris White said he and his wife felt like they had no other choice but to fight the case, despite what he described as Mister Cookie Face's "scorched-earth tactics" to try to force them to end the lengthy and costly litigation. "They destroyed our business... the worst part was they just didn't care," he said.